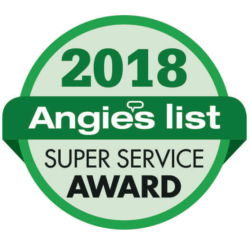 Looking to improve your golf game from the comfort of your own home? 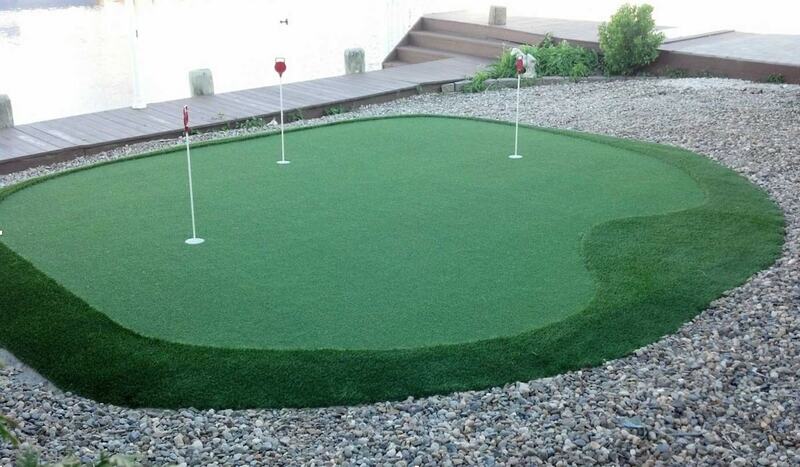 If your answer is “Yes” you may want to consider installing your very own putting green in your backyard. 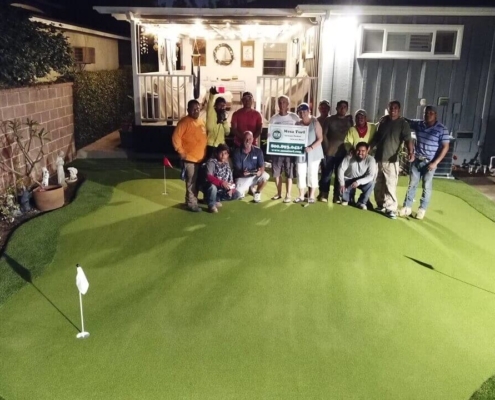 Backyard putting greens have gained in popularity amongst golfing aficionados over the past few years, providing a more convenient way for golfers to work on their short game while also serving as a generally fun and good looking addition to any home that most people will love. 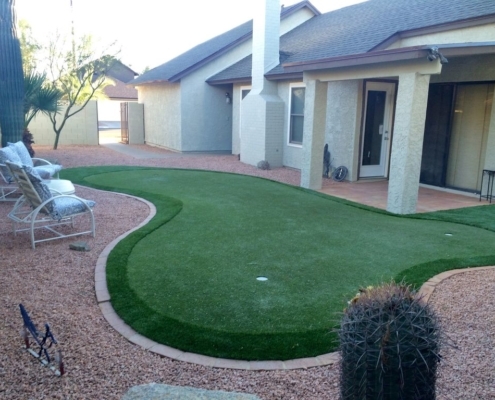 Mesa Turf designs and installs backyard residential putting greens that look, feel, and react like those on the tour. 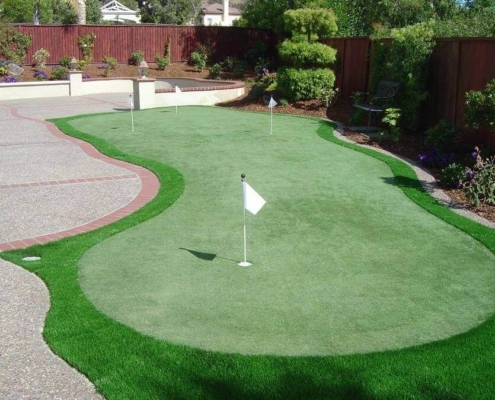 Our putting greens maintain a natural look while providing a roll and ball bounce similar to greens you would find on a professional golf course.